This scenic tour begins with a pickup from hotels located in the Downtown Portland area. Next we will drive to Multnomah Falls. According to Native American lore, Multnomah Falls was created to win the heart of a young princess who wanted a hidden place to bathe. 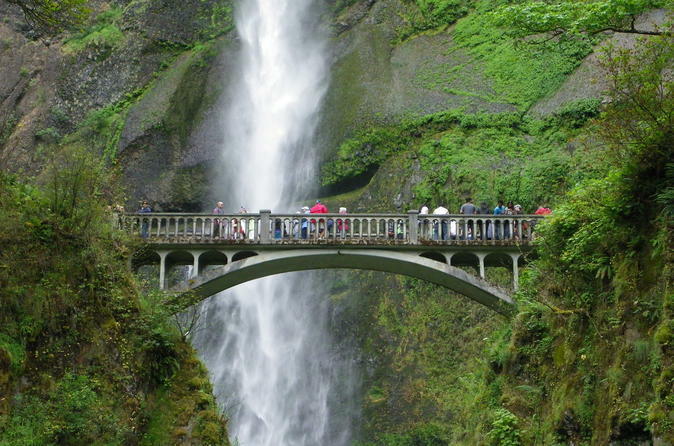 Multnomah Falls is the most visited natural recreation site in the Pacific Northwest with more than 2 million stopping by each year to take in the views! Fed by underground springs from Larch Mountain, this is one of the best places in the Columbia River Gorge National Scenic Area to study geology exposed by floods. The tour ends with a return trip and drop-off in Portland.